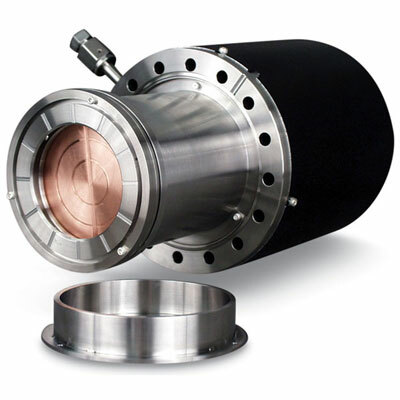 We offer a comprehensive line of circular TORUS® magnetron sputter sources, in 2" and 3" diameters, suited for ultra high vacuum R & D applications. Traditional, flange mounted, welded UHV design with removable magnets from atmosphere during bake out. These sputter sources are "True UHV" cathodes, able to reach base pressures below 10-10 Torr due to their all-welded construction and 350° C bakeout temperature. Their unique high-strength rare earth magnet arrays can be adjusted without breaking vacuum, enabling the user to optimize the sputtering profile. 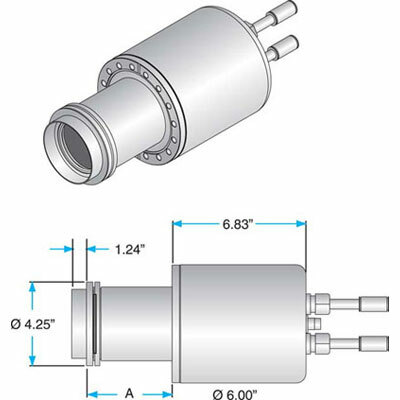 Additionally, these sputter sources are available with an integral gas injection port for introducing the process gas directly to the target. All TORUS R&D circular sputter sources feature Type-N (male) power connectors, indirect water cooling, and balanced magnetic operation as standard. Unbalanced operation is available, please contact us for more information. Target Thickness 0.080" - 0.25"
(2mm - 6.3mm) 0.080" - 0.25"
NOTE: * Dimensions involving flange-to-target thickness assume a standard target thickness of 1/8 inch. Add or subtract accordingly based on your particular sputter target size. Select from the configuration options below to create a part number and price for the particular TORUS sputter source required. 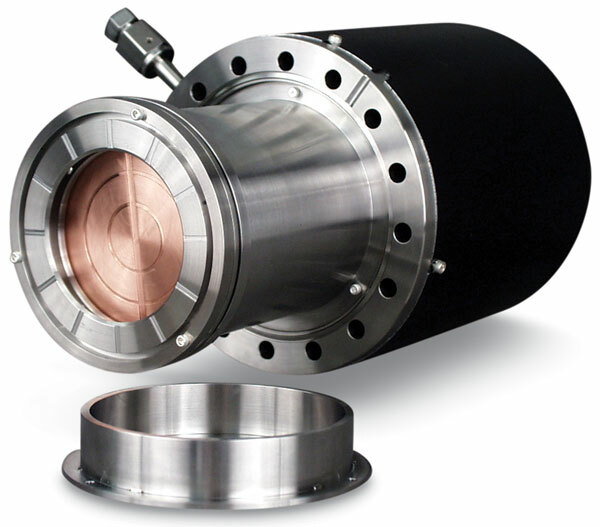 Example Configuration: TM3US064GF is a 3 " OD source mounted on a 4" body (measured from flange to target surface) with a standard magnet array mounted to a 6 " CF flange with gas injection and pneumatic flip-style shutter. Example configuration options selected shown in red below. 3. Insertion length: Please Select 4" 9.25"
Contact sales@lesker.com to discuss your specific vacuum application and process equipment needs. To speak with someone directly, please call +1 412 387 9200 or email international@lesker.com. Interconnect Cable Type HN Plug To Type N Plug, RG213, 3ft LG EJCBL3HN P.O.R. Interconnect Cable Type N Plug To Type N Plug, RG213, 3ft LG EJCBL3NN P.O.R. Interconnect Cable Type N Plug To Pigtail (1/4"Ring Lug Center Connector And Flying Ground Wire), RG213, 3ft LG EJCBL3NP P.O.R. Interconnect Cable Type N Plug To UHFvPlug, RgG213, 3ft LG EJCBL3NU P.O.R. Notes: Other cable lengths available by replacing the '3' with the desired length in feet.